Medically reviewed by L. Anderson, PharmD. Last updated on Mar 24, 2019. Diabetes and prediabetes are two of the top pressing health issues in the nation. Recent estimates from the American Diabetes Association (ADA) suggest about 1.5 million Americans are diagnosed with diabetes every year. Even more concerning is the number of Americans who are at risk for these conditions: it was reported by the Centers for Disease Control and Prevention (CDC) in 2017 that close to 100 million people in the U.S. have diabetes or prediabetes. Prediabetes occurs when the blood sugar levels are higher than normal but not yet high enough to be classified as type 2 diabetes. Weight loss and increased exercise can help prevent a type 2 diabetes diagnosis. As of 2015, more than 9% of the population, close to 30 million people, had a diagnosis of diabetes. The vast majority of those diagnosed with diabetes, about 90% to 95%, have type 2 diabetes. Of the 30 million adults with diabetes, over 23 million are diagnosed, and 7.2 million are undiagnosed. 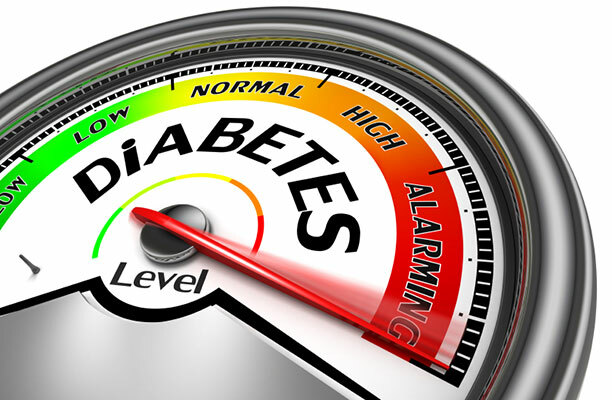 Another 84.1 million have prediabetes, a condition if left uncontrolled often leads to type 2 diabetes within five years. There's no cure for type 2 diabetes, but patients may be able to manage their condition by eating healthy, staying active through regular exercise, and maintaining a normal weight. But sometimes this just isn't enough. Medication treatment for type 2 diabetes often begins with oral metformin (Glucophage), a drug that is the backbone of oral diabetes treatment regimens. From there, different drug classes may be added to metformin, and for some patients, the use of injectable insulin may be necessary. Insulin is a hormone the body needs to utilize the glucose (sugar) from food to provide energy for the body. In type 1 diabetes, the pancreas makes no insulin and it must be replaced. In type 2 diabetes, either the pancreas either doesn't make enough insulin, there is resistance to the effects of insulin, or both. Diabetes treatments are monitored using a blood sugar target called hemoglobin A1C (HbA1c) that gives average blood glucose levels over the past 3 months. For adults, the American Diabetes Association (ADA) recommends a target HbA1C of below 7%; however, in March 2018, the American College of Physicians (ACP) issued new guidance, suggesting targets between 7% and 8%. Part of the ACP reasoning is to adhere to a more individualized approach to type 2 diabetes treatment. For example, in the elderly, very low blood sugars can be linked with serious health issues, including confusion and fainting. However, the latest diabetes news is encouraging. Newer drugs with a positive outcome on heart disease and death, improved monitoring devices and an understanding of how diet and exercise impact diabetes is adding up to a gain in outcomes for patients. The vast majority of people with type 2 diabetes are living longer lives due to better medications, and a better understanding of the disease and the numerous complications that result from this chronic disease. In response to the type 2 diabetes epidemic, the U.S. Food and Drug Administration (FDA) continues to approve and improve type 2 diabetes medications and ease dosing regimens for patients. Originally approved in 2012, AstraZeneca’s Bydureon (exenatide extended-release) was the very first once-weekly treatment approved for type 2 diabetes. Bydureon is a long-acting form of exenatide, the same active ingredient found in Byetta, but Byetta is given twice-a-day instead of once-a-week. The 2 mg Bydureon injection is used with diet and exercise in people on one or more type 2 diabetes medicines to improve blood sugar control. Bydureon is a glucagon-like peptide 1 (GLP-1) agonist, or incretin mimetic, that binds to GLP-1 receptors to help the pancreas produce more insulin in response to an increase in blood sugar. In October 2017, the FDA also approved once-weekly Bydureon BCise (exenatide) in a single-dose autoinjector device for adults with type-2 diabetes. Bydureon BCise consists of a novel, continuous-release microsphere delivery system that is designed to provide consistent therapeutic levels of exenatide. In April 2018, the FDA approved Bydureon as an add-on to basal insulin in adults who need extra blood sugar control. In the 28-week DURATION-7 study, Bydureon or placebo were evaluated as add-on therapy to insulin glargine, with or without metformin, in adults with type 2 diabetes. Blood sugar control, as measured by the HbA1c, was reduced by 0.9% in the Bydureon group compared to 0.2% in the placebo group. Over 32% of patients in the Bydureon group reached an HbA1c of <7.0% compared to 7% of patients in the placebo group. Low blood sugar (hypoglycemia) can be a problematic side effect when Bydureon is used with insulin. The dose of insulin when combined with Bydureon may need to be reduced. Symptoms of low blood sugar include a headache, sweating, shaking, anxiety, fast heartbeat, irritability, rapid breathing, or a confused state. Patients should learn to recognize these effects so they can treat low blood sugar with a carbohydrate source. As with other GLP-1 agonists, Bydureon labeling contains a warning about the increased risk of thyroid cancer, as seen with animal studies; however, the risk in humans is not known. Insulin is a hormone that works to lower levels of blood glucose (blood sugar) and is found either naturally in the body or man-made and given by injection or inhalation. The development of life-saving insulin for people with diabetes is one of the top medical breakthroughs in the history of medicine. Humalog (insulin lispro), from Eli Lilly is one of several man-made insulins for patients with diabetes. Humalog is known as a “fast-acting” insulin that starts to work about 15 minutes after injection, effects peaks at one hour, and it keeps working for 2 to 4 hours. It is typically given within fifteen minutes before a meal or immediately after a meal and may be used in regimens with an intermediate- or long-acting insulin for insulin coverage throughout the day. Humalog is used to improve blood sugar control in both type 1 diabetics, who do not produce insulin from the pancreas, and type 2 diabetics, who still produce insulin (but it’s not used efficiently). As blood sugar levels rise with meals, those with diabetes may need insulin injections at mealtime if their blood sugar is not controlled with other diabetes medications. The Humalog Junior KwikPen (100 units per mL) is also available for children as a prefilled 3 mL disposable pen with half-unit dosing. Each turn of the dose knob dials 0.5 (½) unit of insulin. You can give from 0.5 (½) to 30 units in a single injection.The maximum dose per injection is 30 units. In December 2017, the FDA approved Admelog (insulin lispro), the first rapid-acting insulin approved as a “follow-on” (or biosimilar-type product) to Humalog. Costs with Admelog may be lower than other insulin lispro products. Death from heart disease is 70% higher in diabetics compared to those without diabetes. So controlling heart (cardiovascular) disease in patients with type 2 diabetes in an important goal. Jardiance (empagliflozin), from Boehringer Ingelheim and Eli Lilly, is classified as a sodium glucose co-transporter-2 (SGLT2) inhibitor and was originally approved in 2014 to improve blood sugar control (HbA1c) in adults with type 2 diabetes alongside diet and exercise. In 2016 the FDA approved a new indication for Jardiance: to lower the risk of cardiovascular death in adult patients with type 2 diabetes and heart disease. For the new indication, Jardiance was studied in a Phase 4 (post-marketing) study of more than 7,000 patients, and was shown to reduce the risk of cardiovascular death compared to a placebo when added to standard of care therapies. For a full description of side effects with Jardiance visit this section. While short-acting insulins like Humalog are used at mealtimes, long-acting basal insulins work to keep the blood sugar levels even throughout the day. Lantus (insulin glargine), from Sanofi, is used to treat adults with type 2 diabetes and adults and children 6 years and older with type 1 diabetes. Lantus provides a slow, steady release of insulin and helps to manage the blood sugar levels between meals and overnight. The onset of Lantus is usually within 1 to 3 hours, with a duration of 24 hours. Due to its long duration of action it is injected subcutaneously (under the skin) just once a day, at the same time each day. Some patients use a rapid acting human insulin or an oral diabetes medication in combination with Lantus. Lantus comes as a 100 units/mL in either 10 mL vials or as the 3 mL SoloStar prefilled pen. With the SoloStar pen, you dial the dose you need on the pen and use the push button for injection. In November 2016, the FDA approved Sanofi’s Soliqua 100/33 injection (insulin glargine and lixisenatide), a combination of insulin glargine 100 Units/mL and lixisenatide 33 mcg/mL, a glucagon-like peptide-1 (GLP-1) agonist. The two drugs combined now mean one injection for the patient with type 2 diabetes, instead of two. That's a big improvement. Soliqua 100/33 combines a long-acting, basal insulin with a GLP-1 (glucagon-like peptide-1) receptor agonist to help control blood sugar and lower HbA1c. It is used with diet and exercise to control blood sugar in adults with type 2 diabetes inadequately controlled on basal insulin (less than 60 units daily) or lixisenatide. It comes as a single dose, pre-filled pen and is given as a once-daily injection. Lantus is a long-acting basal insulin that provides a steady insulin release to manage blood sugar levels between meals and at bedtime. Adlyxin is a GLP-1 agonist that helps the pancreas produce more insulin in response to an increase in blood sugar and controls glucose production from the liver. In studies, Soliqua 100/33 showed better HbA1c lowering (average blood sugar over time) versus Lantus with 55% of patients achieving a target of less than 7% at 30 weeks, compared to 30% with Lantus alone. Hypoglycemia rates were similar in both groups. The most common side effects with Soliqua include low blood sugar, nausea, diarrhea, respiratory tract infections, and headache. Long-acting insulin injections help patients with diabetes control their blood sugar levels over a 24-hour period. In March 2015, the FDA approved Sanofi’s Toujeo (insulin glargine), the same active ingredient that's in Lantus. Toujeo is a once-daily, long-acting basal insulin for adults with type 1 or type 2 diabetes. In the clinical trials evaluating Toujeo, all of the primary study endpoints were met by demonstrating similar blood sugar control with Toujeo as compared to Lantus. Toujeo’s onset is within 6 hours, and it has a duration of up to 36 hours, reaching a steady blood level by about day five. The most common side effects reported for Toujeo (excluding low blood sugar) included the common cold and upper respiratory tract infections. The Toujeo SoloStar pen can make life easier for patients with type 2 diabetes, possibly lowering the number of injections per day as well as the number of pens used those who need higher insulin doses. ​Toujeo SoloStar contains 450 units of Toujeo U-300. It delivers doses in 1 unit increments and can deliver up to 80 units in a single injection. Toujeo Max SoloStar, approved in March 2018, contains 900 units of Toujeo U-300, more insulin than any other long-acting insulin pen. It delivers doses in 2 unit increments and can deliver up to 160 units in a single injection. It is recommended for patients requiring at least 20 units per day. Trulicity (dulaglutide) is a glucagon-like peptide-1 (GLP-1) receptor agonist for the treatment of type 2 diabetes. In Sept. 2014, Trulicity, from Eli Lilly, was FDA-approved as a once-weekly subcutaneous (under the skin) injection used to improve blood sugar levels, along with diet and exercise, in adults with type 2 diabetes. Trulicity is not recommended as the first choice of medicine for treating type 2 diabetes, but may be added to other oral agents. In six pivotal clinical trials, 3,342 patients with type 2 diabetes received Trulicity. Patients had an improvement in their blood sugar control as observed with reductions in HbA1c level (a measure of blood sugar control). A modest amount of weight loss may also occur with Trulicity use. It might be a good option in overweight type 2 diabetic patients who gain weight taking oral medication, it promotes weight loss by suppressing appetite. As a class GLP-1 receptor agonists are associated with weight loss, which is advantageous in a person with type 2 diabetes. The dose of Trulicity is 0.75 mg injected subcutaneously (under the skin) once a week. The dose may be increased to 1.5 mg once weekly if needed. Trulicity comes as a pen device with an automatic injector. Once-weekly dosing may be a big advantage for many patients. Another advantage to GLP-1 receptor agonists is a low risk for low blood sugar (hypoglycemia), especially compared to insulin or sulfonylureas. But if Trulicity is used in combination with these medicines, the risk for low blood sugar may rise; lower doses of these medications may be needed if combined with Trulicity. GLP-1 receptor agonists, like Trulicity or Victoza, should not be used by anyone with a personal or family history of certain types of thyroid cancer. A boxed warning exists for all GLP-1 receptor agonists (Trulicity, Victoza) for possible thyroid tumors, including cancer. In studies, only animals developed thyroid tumors; human risk is not known. However, do not use Trulicity if you have a personal or family history of medullary thyroid cancer (MTC) or Multiple Endocrine Neoplasia syndrome type 2 (MEN 2). Tell your healthcare provider if you get a lump or swelling in your neck, hoarseness, trouble swallowing, or shortness of breath. These may be symptoms of thyroid cancer. Speak to your doctor about these thyroid warnings. Victoza (liraglutide) from Novo Nordisk is also a glucagon-like peptide-1 (GLP-1) receptor agonist (incretin mimetic) indicated to improve glycemic control in adults with type 2 diabetes mellitus. It is in the same class of drug as Trulicity. Type 2 diabetes patients have a four times greater risk of developing heart disease, which is the leading cause of disease and death in patients with type 2 diabetes. Although Victoza was originally approved in January, 2010, in 2017 it gained a new labeled indication to reduce the risk of heart attack, stroke and cardiovascular (CV) death in adults with type 2 diabetes and established heart (cardiovascular) disease. Currently, it is the only GLP-1 receptor agonist with data in its label to show a cardiovascular risk reduction. Victoza demonstrated a life-saving benefit that included a 22% reduction in cardiovascular death and a 15% reduction in all-cause death. Other endpoints that were met included reduction in cardiovascular death, and death from any cause. Victoza did not reduce the individual rates of heart attack, nonfatal stroke, or hospitalization for heart failure. The most common side effects leading to the study discontinuation of Victoza were gastrointestinal (stomach) events, which are common with GLP-1 receptor agonists. The most common side effects of Victoza are headache, nausea and diarrhea. Victoza is available as 0.6 mg (for initial titration), 1.2 mg or 1.8 mg injection in pre-filled, multi-dose pens. Each 3 mL pen contains 6 mg/mL of liraglutide. Victoza is used once daily each day, and it can be used at any time of the day. FDA Approves Jardiance (empagliflozin) to Reduce Cardiovascular Death in Adults with Type 2 Diabetes. December 2, 2016. Drugs.com News. Accessed March 24, 2019. American Diabetes Association (ADA). Statistics About Diabetes. Updated March 22, 2018. Accessed March 24, 2019.